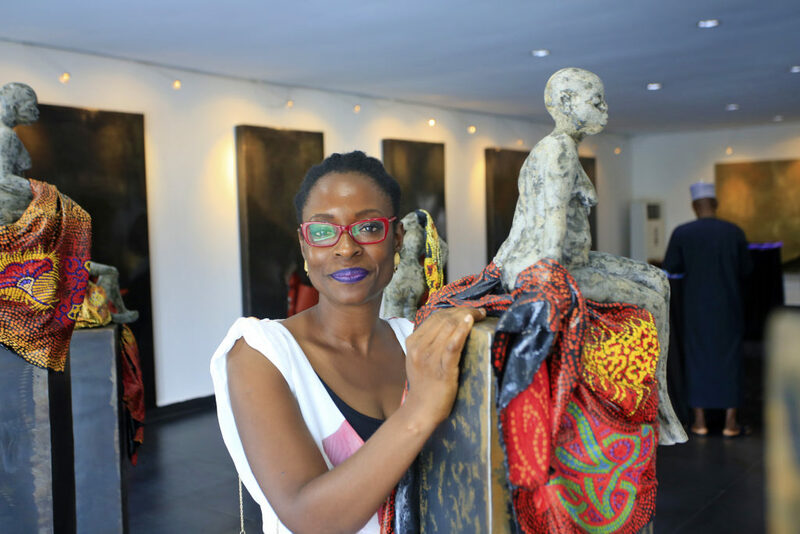 Nigerian artist, Peju Alatise, has been announced as the 2017 recipient of the highly coveted FNB Art Prize at the media launch of the 10th instalment of the FNB JoburgArtFair. Alatise joins the ranks of previous winners such as Nolan Oswald Dennis, Turiya Magadlela, Portia Zvavahera and Kudzanai Chiurai. She receives a cash prize as well as the opportunity to create a new project that will be showcased in a dedicated exhibition space at the FNB JoburgArtFair this September. Alatise, who holds a degree in architecture, is a mixed-medium artist, poet and published writer whose interdisciplinary work has garnered attention on the global art stage. 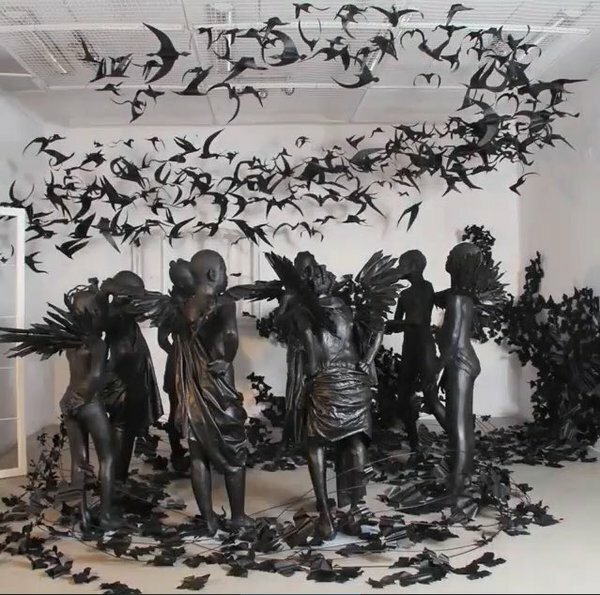 She was selected as the 2016 fellow at the Smithsonian Institute of African Art and exhibited at the Venice Biennale’s 57th edition. With several international solo exhibitions to her name, Alatise’s work can be found in private and institutional collections around the world. She’s passionate about addressing social, political and gender-related issues as her primary subject matter, through artistic work that also captures the joys and pain of womanhood in modern-life-African traditions. Mari Van Niekerk, Senior Communication and Sponsorship Manager at FNB says that the FNB Art Prize honours exceptional artistic talent and, at the same time, provides many local and international opportunities beyond the Fair, often resulting in a springboard that catapults the artist’s career to a higher level. “There is a great need to continue investing in artists that tell us more about ourselves, and art in this sense, is a commodity that isn’t simply a good financial investment, but a social dialogue that enables us to reflect. Our decade of continued support of the FNB JoburgArtFair is recognition of the varied roles that art plays in our society, from being a form of expression which offers a much deeper and intrinsic look at the world around us, to an alternative investment option,” says Van Niekerk. “Our commitment to the FNB Joburg Art Fair continues to ensure that in the years to come, we will continue to introduce African artists to an international audience, galleries, collectors, writers, thinkers and art lovers,” she says. The 2017 judging panel for the coveted FNB Art Prize consisted of Nicole Siegenthaler, Producer of FNB JoburgArtFair, Pulane Kingston, partner at Webber Wentzel Attorneys and active patron of the arts and RosaLee Goldberg, New York University professor and Founding Director of Performa, a non-profit arts organisation committed to the research, development and presentation of performance by visual artists from around the world. The FNB JoburgArtFair takes place at the Sandton Convention Centre, Exhibition Hall 1, 161 Maude Street, Sandton, from the 8 to 10 September 2017. Tickets are R150 and can be purchased through tixsa.co.za.